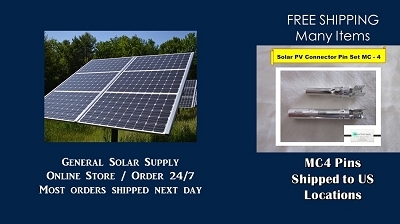 MC3 Solar Power Cables - Use to connect power between components. We only use USA Made UL Rated Cable and TUV Rated Connectors. Our trained techs build and quality check every cable to assure a lifetime of service. 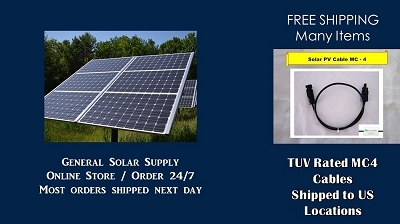 Priced right and shipped free! 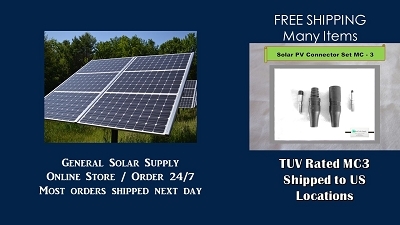 GENERAL SOLAR SUPPLY HAS FREE SHIPPING on this product to home or business.